Designing your own borders is much easier than you might think. 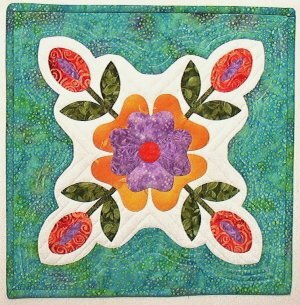 Karen will discuss if a quilt needs a border, how to select a border for your quilt, how she designs many of her borders. We’ll see many of her quilts and discuss her border choices with some fun stories along the way…all in the hope to inspire you to think about how to enhance your work with the right order. Have you ever wondered how to create the perfect border for your quilt? This class will make it easy for you to choose a border to compliment any quilt. Karen has combined her lecture “To Border or Not to Border, That is the Question” with her easy approach to hands on designing. 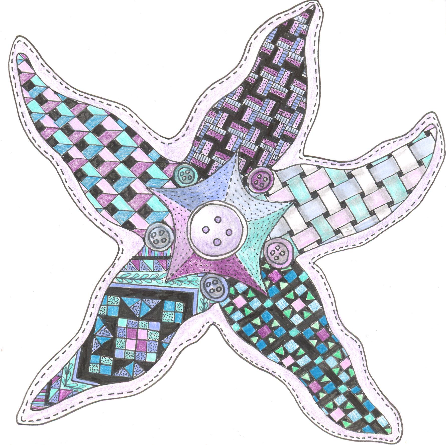 Participants will be amazed at the ease in designing pieced and appliqué borders to fit any quilt. 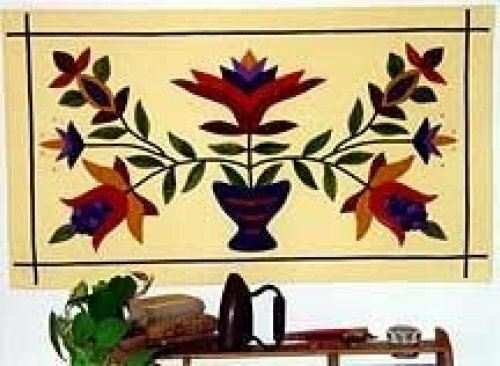 Folk Art is an American tradition and this design reminds me of times gone by. The simple, elegant and flowing shapes create a wonderful quilt to hang on the wall or give to a loved one. The smoothness of the curves allows you to easily hand appliqué this 38” x 22-1/2” wall quilt. We will also learn to make sharp points. There are a few small-areas, which include reverse appliqué, just for a little more fun. Keep the folkart tradition alive by stitching this little project. *SEE Joy McKeon to purchase Karen’s required additional items for $14.00. Wow, this is a fun project. You will be amazed how easy it is to get smooth curves and sharp points as you machine appliqué using an invisible stitch. This project also includes reverse appliqué and a fabric overlay for some added excitement. Come spend a fun packed six hours and learn lots of tips and tricks. Important: This class will be held at the Town of Hempstead Smith Street Park located at 699 Smith St. Uniondale, NY. This recreation building has a large room that hosts two weekly quilting groups. The facility is air conditioned, has on site parking, restrooms and vending machines.